SKU: DHFPR2012. Category: Archived Guides. The sixth annual report from Dobber. 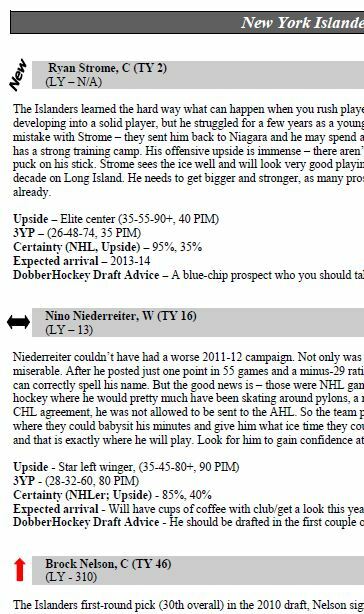 Includes 8-12 fantasy-worthy prospects from each team, their upsides, their ETA for the NHL, and the 3YP stat – projected three-year average of their best NHL seasons (if they were to make it). NEW: we've added draft advice for each player as it pertains to keeper leagues. 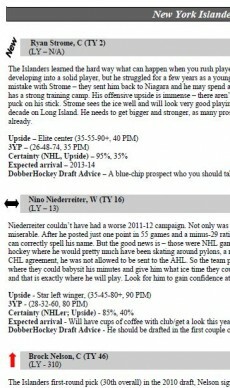 Also, a close look at the 2012 Entry Draft, complete with Mock Draft. A must for serious Keeper-League owners! Adobe pdf file. Released June 1, 2012. 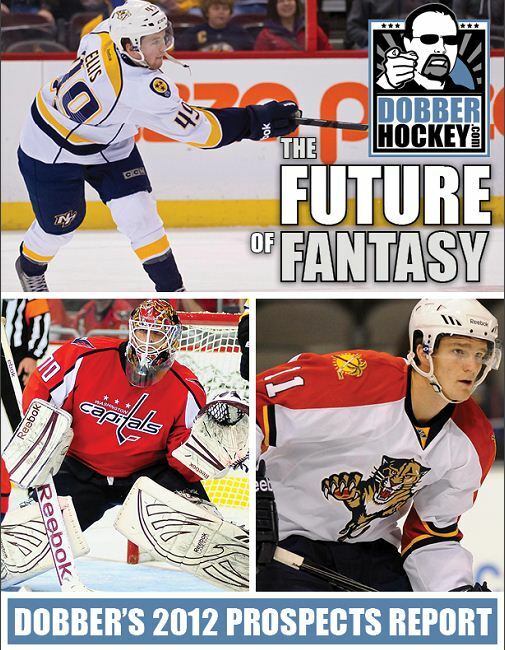 OR…you can pick up this product as part of the Keeper League Fantasy Pack – and get Dobber's Fantasy Hockey Guide for $2.50!